Mt Hutt College “Good Citizenship” Award Honours Board in the College Assembly Hall. 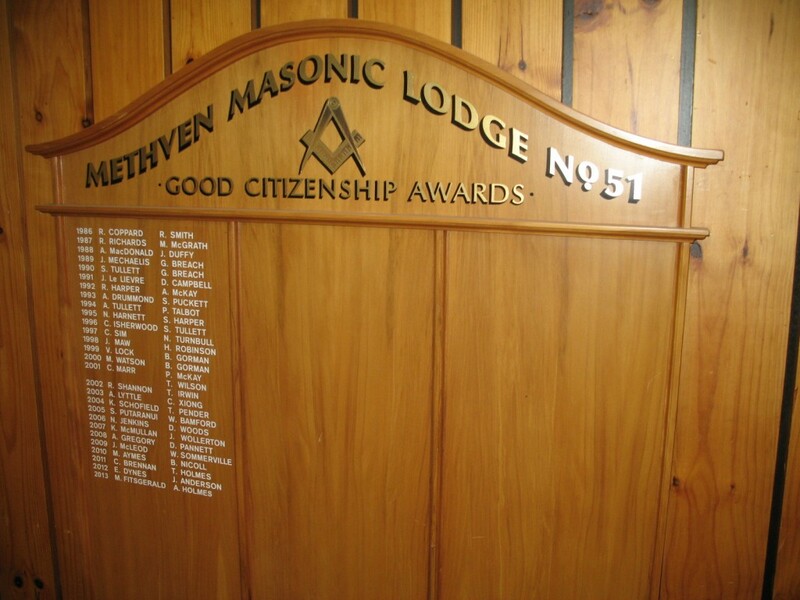 The Methven Masonic Lodge presents a “Good Citizenship” award at every Mt Hutt College Prize Giving each year. 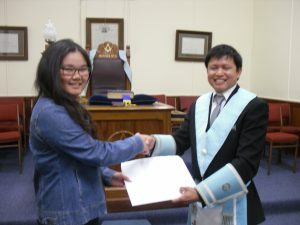 Besides awarding the Freemasons “GOOD CITIZENSHIP” awards the Midland District #28 Freemason’s MUSIC award to a Mt Hutt College student is presented also. 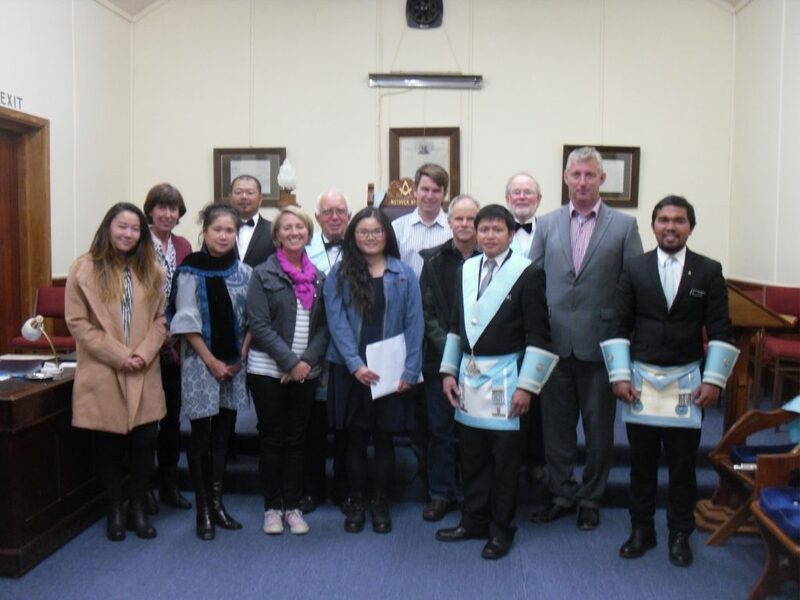 The Methven Masonic Lodge “GOOD CITIZENSHIP” Awardees for 2018 from Mt Hutt College: CHRISTOPHER SPITTAL and HINE WAIREPO – Congratulations to you both. 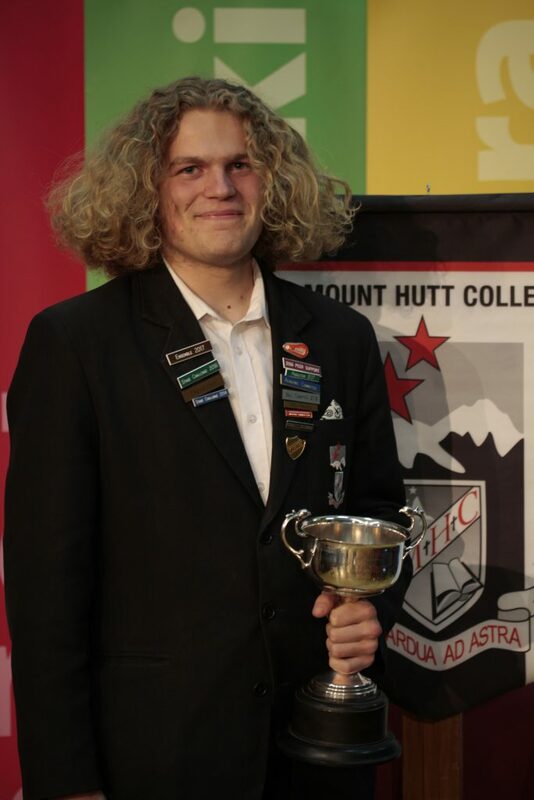 Winner of the Midland District #28 Music Award to a Mt Hutt College student for 2018 was: SIMON HARFORD – Congratulations. 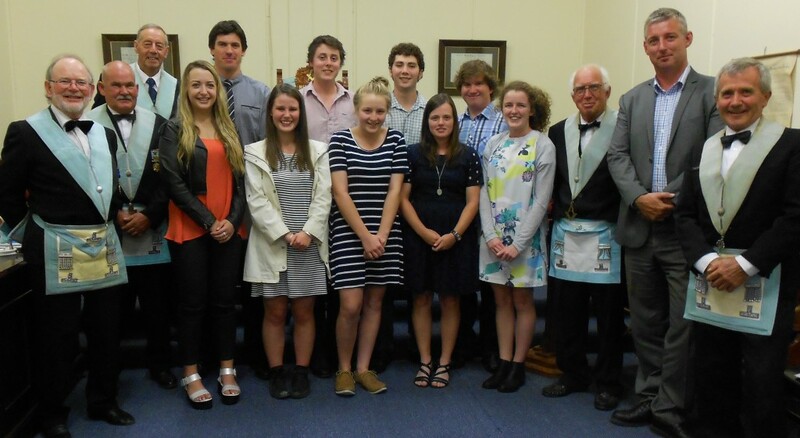 The Methven Masonic Lodge “GOOD CITIZENSHIP” Awardees for 2017 from Mt Hutt College: TOM SEXTON and HEIDI CUTTLE – Congratulations to you both. Winner of the Midland District #28 Music Award to a Mt Hutt College student for 2017 was: DYLAN TAYLOR – Congratulations. 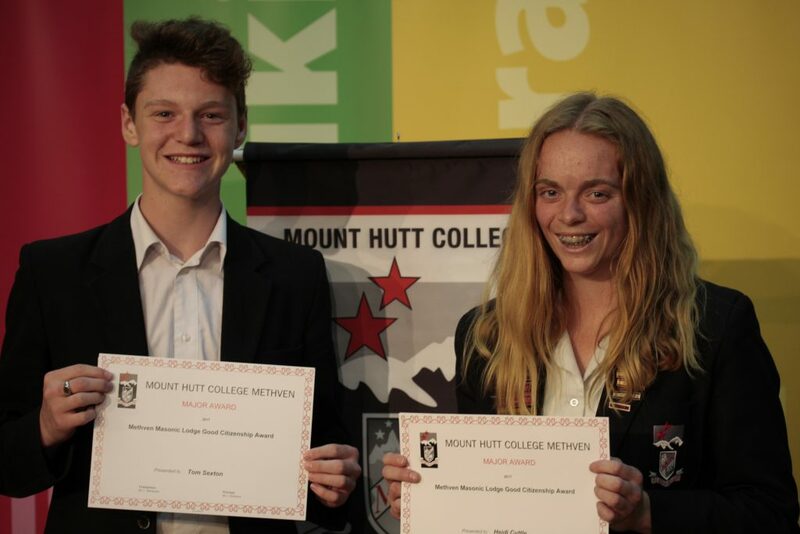 The region’s students who have previously won the awards are listed below on a special Mt Hutt College Honours Board above – it would be interesting to know how each of these students are doing today. One award is given to a senior Girl and a senior Boy each year. The Methven War Memorial at the entrance to the Methven Primary School. 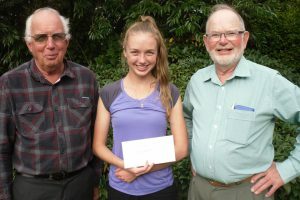 Each year at the same time as the Bursary presentations, the Methven Masonic Lodge #51 also donates a sum to the Methven Primary School and The Lady of The Snows School, to a fund to assist children who otherwise would not be able to pay their way for funding their part in special or extracurricular events. 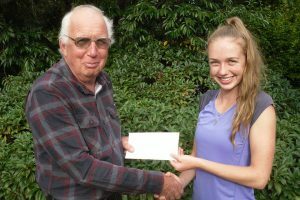 The Recipient of the Mt Hutt College Methven Freemason’s University Bursary for 2018 was Aimee Elliott from Winchmore. Aimee will prove an excellent recipient of this bursary. She is studying at the Waikato University in Hamilton. Lodge Master Peter Rusbatch accompanied with George Currie made the presentation to Aimee. 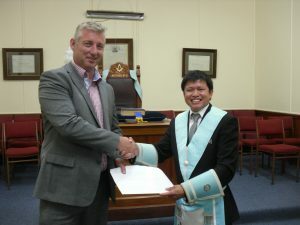 Benjamin Todd receiving his Bursary from our Master Christopher Cayanan. Anna Ikenaga receiving her bursary from our Master Christopher Cayanan. 2017 Bursary 2 presentations to Benjamin Todd and Anna Ikenaga (both centre) and their families. Chris Murphy Principal of the Methven Primary School School receiving the Lodge’s donation for assisting under privileged children. Pattie Ree Acting Principal of Our Lady of the Snows School receiving the Lodge’s donation for assisting under privileged children. 2016 Bursary Presentations: BACK ROW; Tony Lamb Principal O.L.S. Primary School, Frank Sandys, Annah Casey-Solly, Quintin Pannett, Peter Rusbatch, Chris Murphy Principal Methven Primary School, Richie Palis, Glenn Rodrigo. 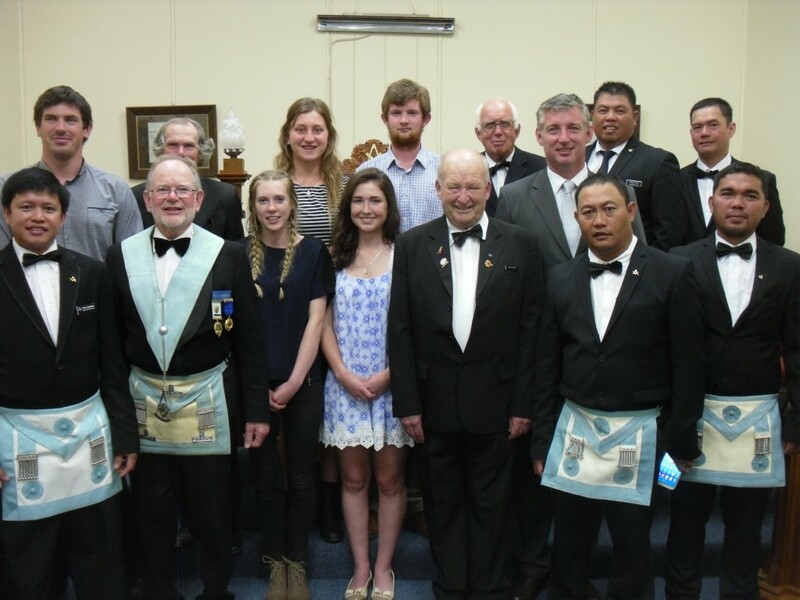 FRONT ROW; Chris Cayanan, George Currie Master Methven Lodge, Brooke Sandys, Mikaeli Lalor, John Kinvig Midland District Grand Master, Edsel Fernandez, Leo Mario. Absent; Coral Hickman. Back Row: VW Bro Ray Gudex DC; Tony Lamb Principal of Our Lady of the Snows Primary School; Bursary recipients, Joshua Marr; Jacob Jenkins and Thomas Brown. Front Row: W Bro George Currie Lodge Master; W Bro Donald Smith Lodge Dep Master; Bursary recipients, Victoria Rogers; Cory Blackburn; Ashleigh Pannett; Irene Anderson; Ella McKendry; W Bro Peter Rusbatch Lodge IPM; Chris Murphy Principal of Methven Primary School and W Bro Bob Frame Lodge Treasurer. Absent in Japan was Kenji Boekholt, and his mother Hiromi received the bursary for him. 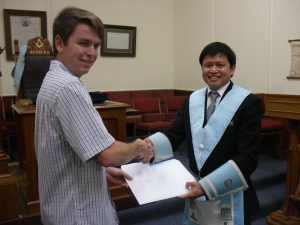 The Methven Masonic Lodge #51 hold their annual presentation of Bursaries in the month of February to selected students who have just left Mt Hutt College and now going onto higher education and training to assist them in moving into their chosen occupation with good qualifications around them. 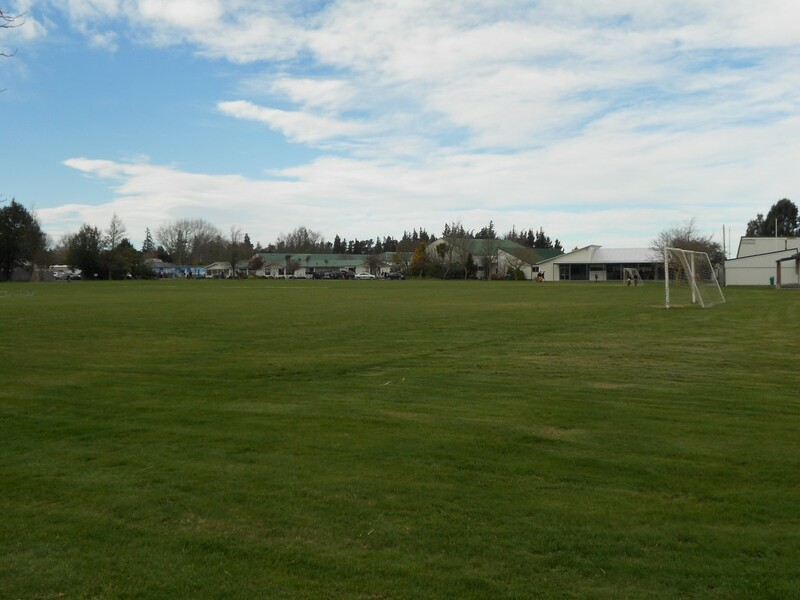 The Methven Masonic Lodge hopes that their small contribution to each one will help them achieve their goals. The recipients, who on receiving their bursary, speak on how they would apply them in pursuit of achieving their desired life occupation. Also included in the evenings presentation is a donation to each of the two local Primary Schools. This contribution goes to a fund to assist children’s families, who find it difficult to find funds for additional school events when asked for funds for them. 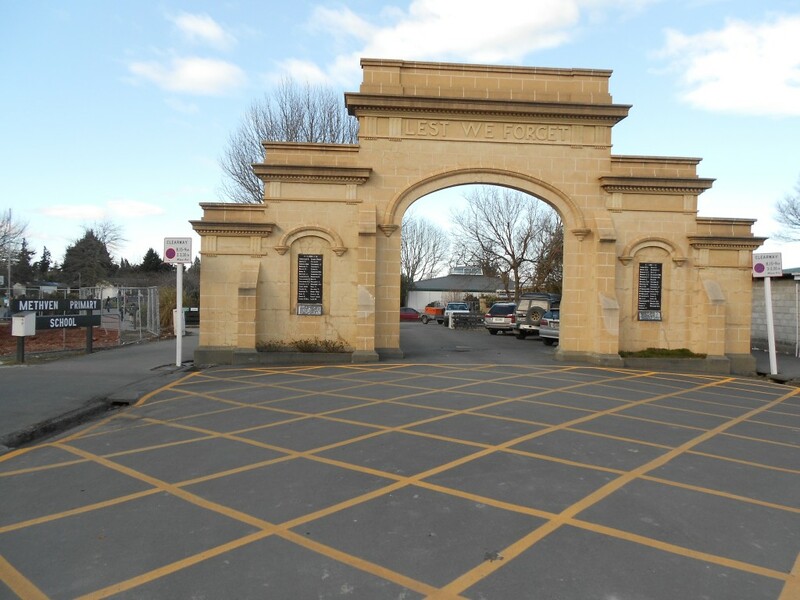 MT HUTT COLLEGE, METHVEN. Recipients of Annual “Good Citizenship” Awards to the Appointed Senior Girl and Senior Boy at the end of Year Prize Giving. – EDUCATION – Plus in the New Year Selected Bursaries are Offered to Those Leaving for University Studies – EDUCATION Again.